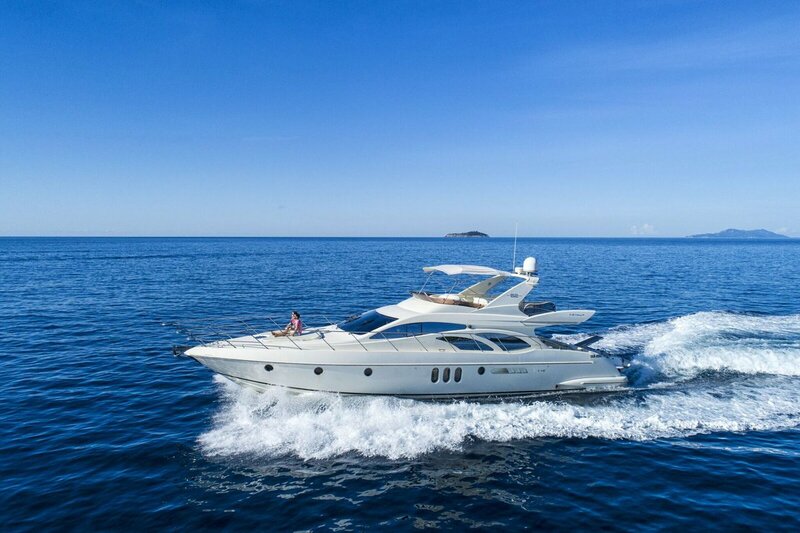 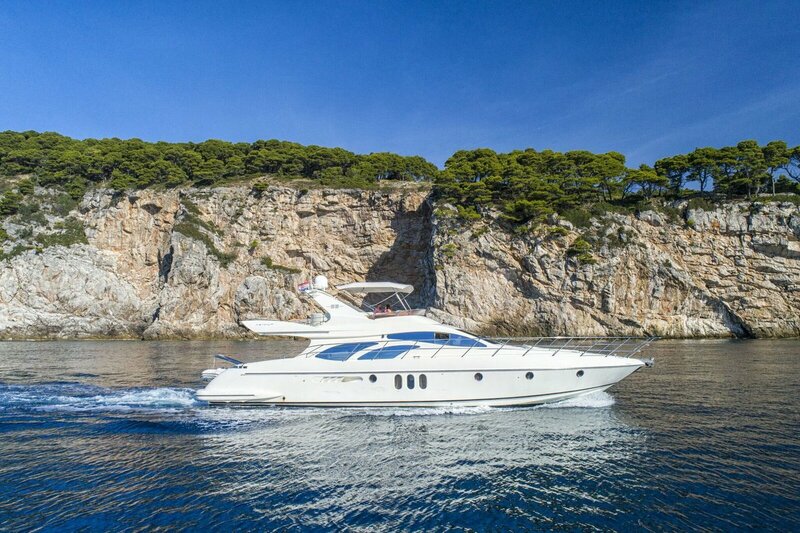 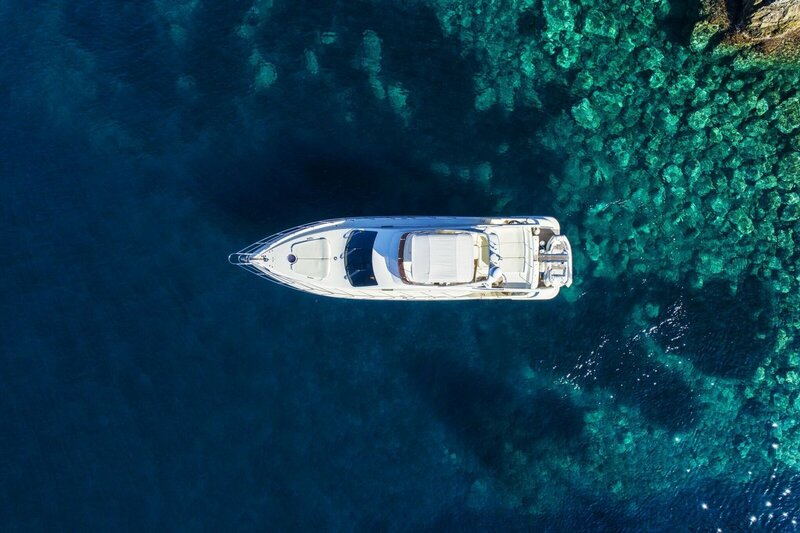 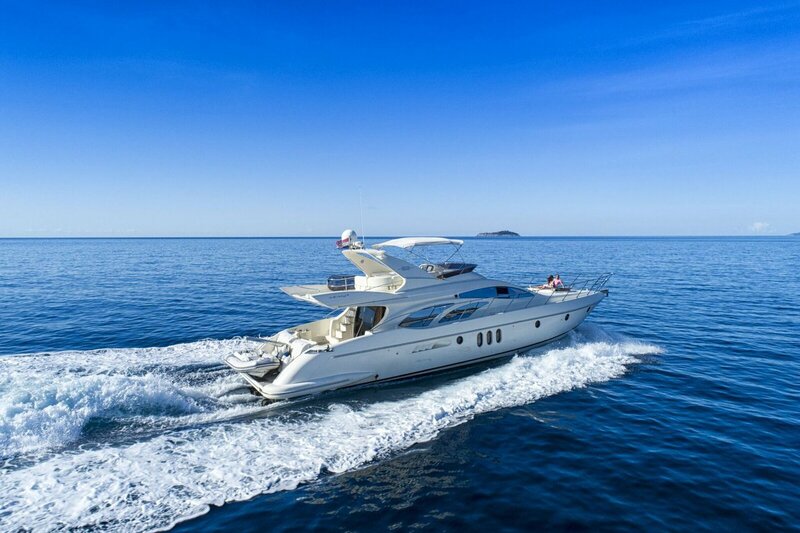 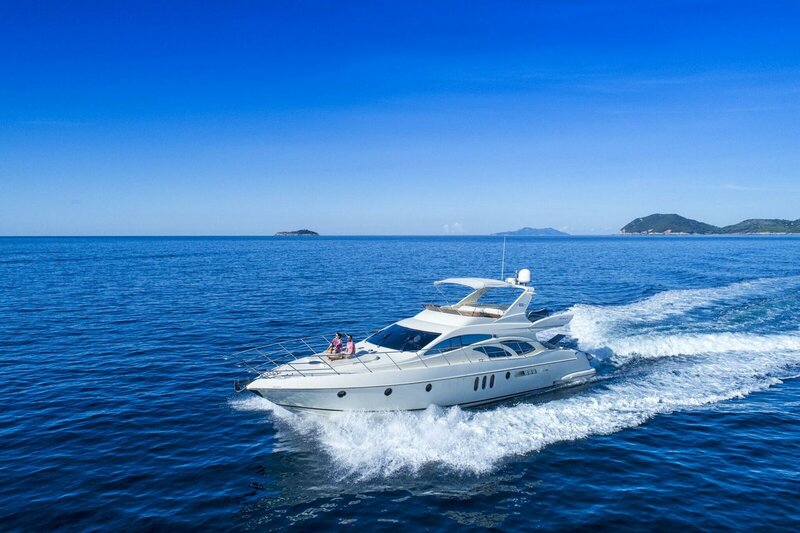 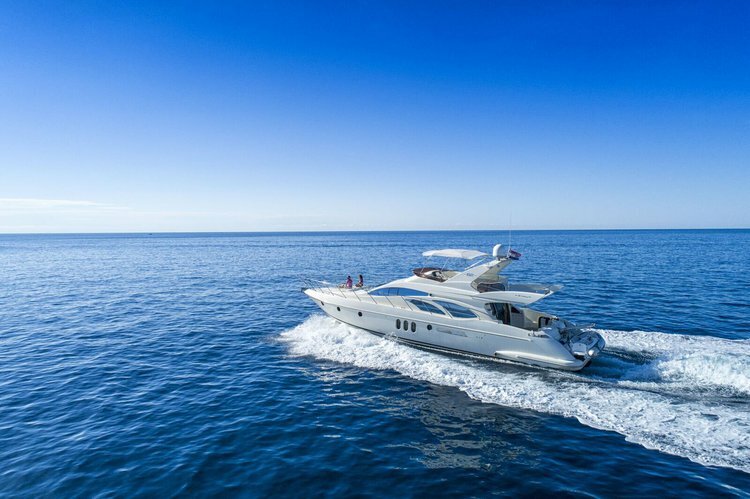 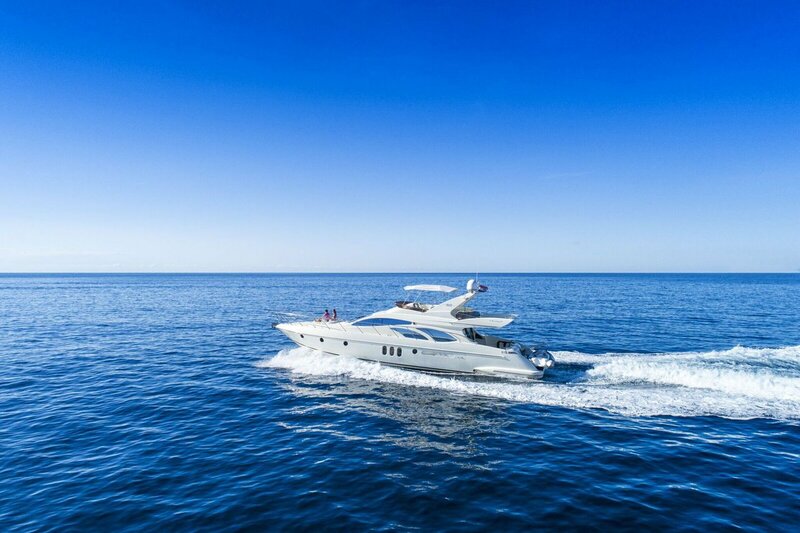 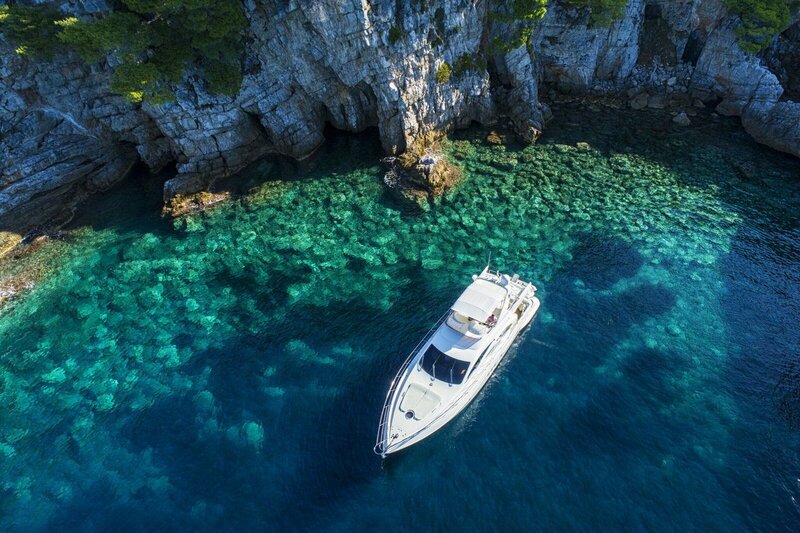 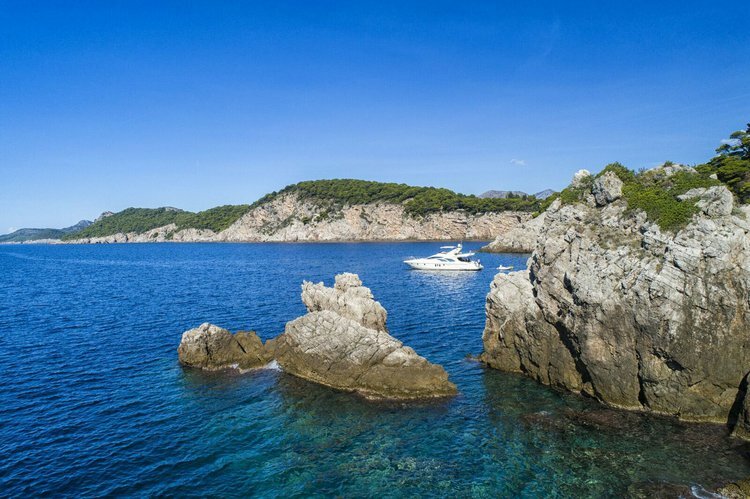 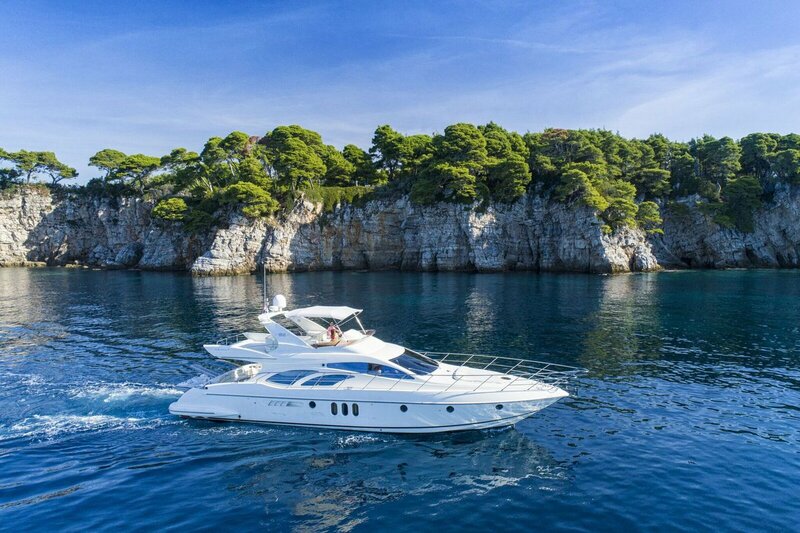 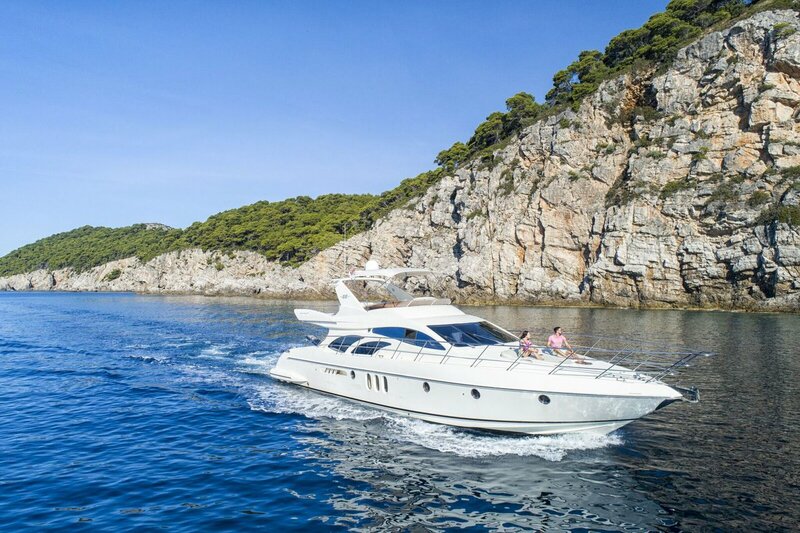 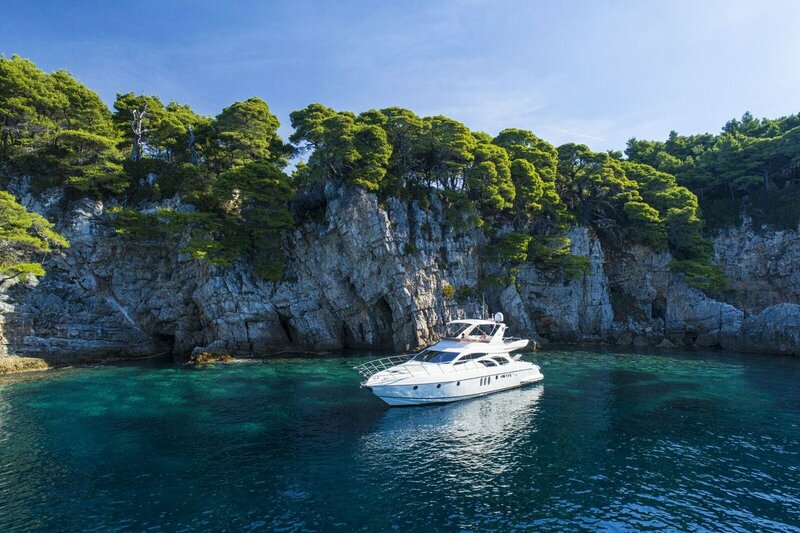 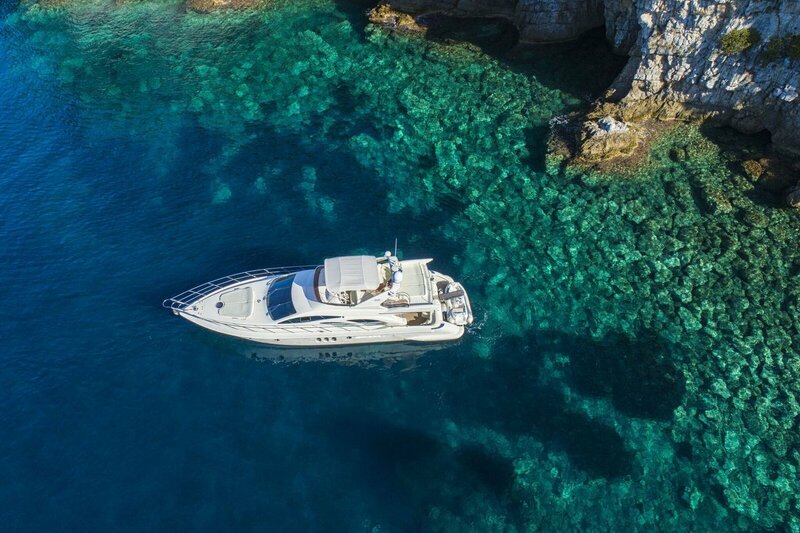 Azimut 62 is the perfect luxurious motor yacht, with impeccable indoor space, which makes it the finest choice for cruising the crystal clear sea. 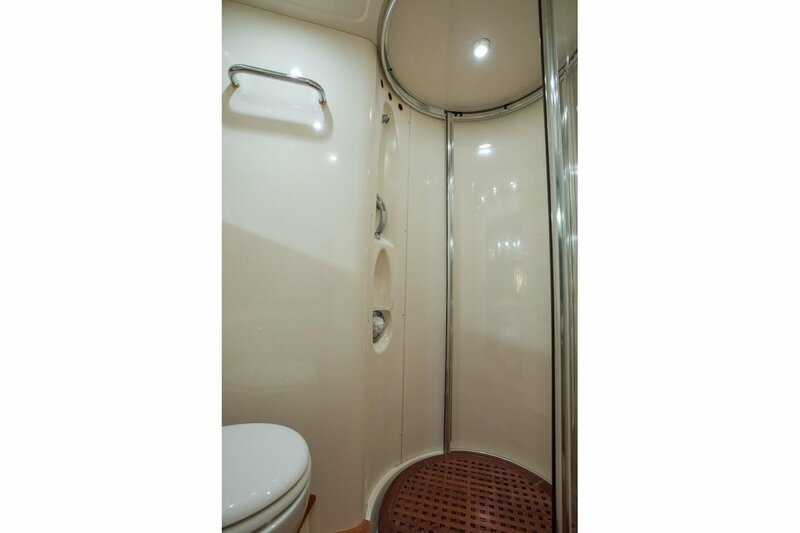 It holds the length of twenty meters, which makes it incredibly comfortable even for longer journeys. 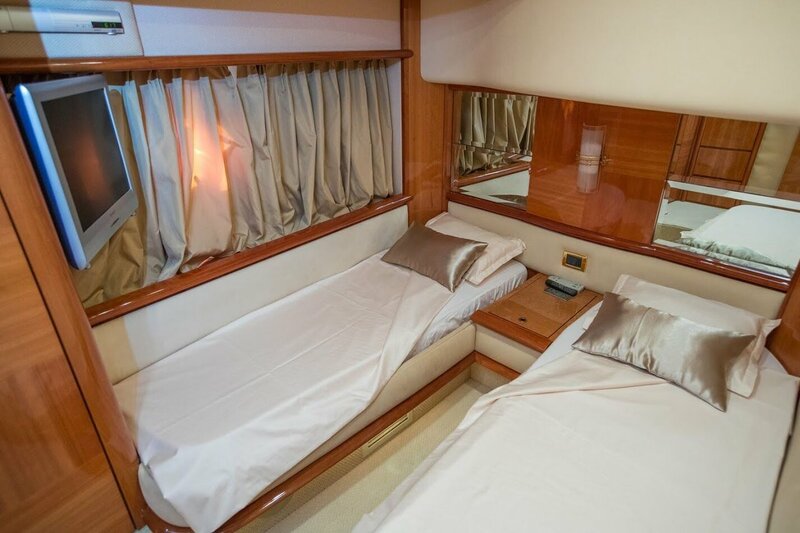 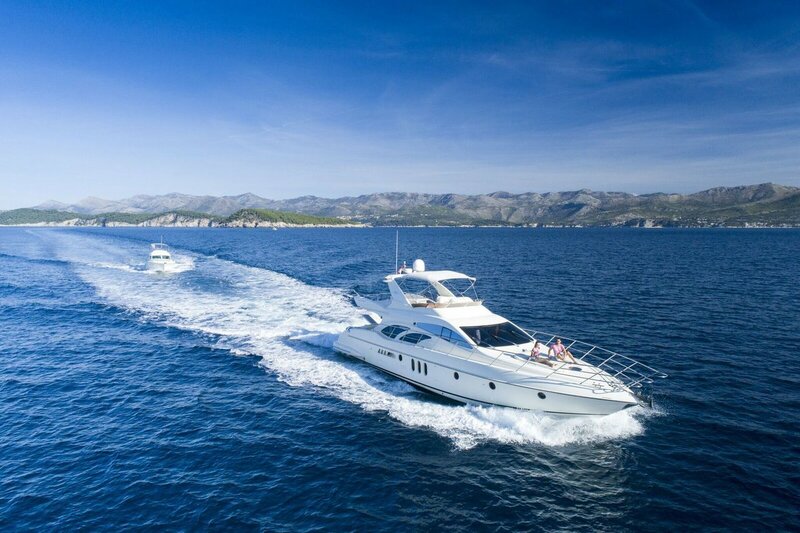 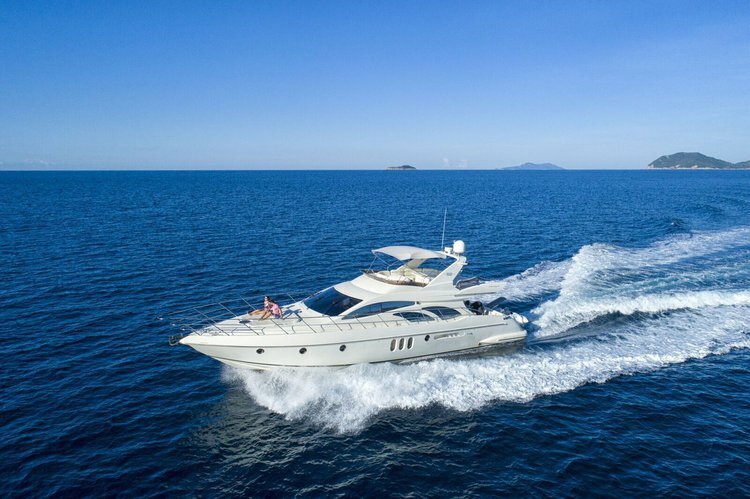 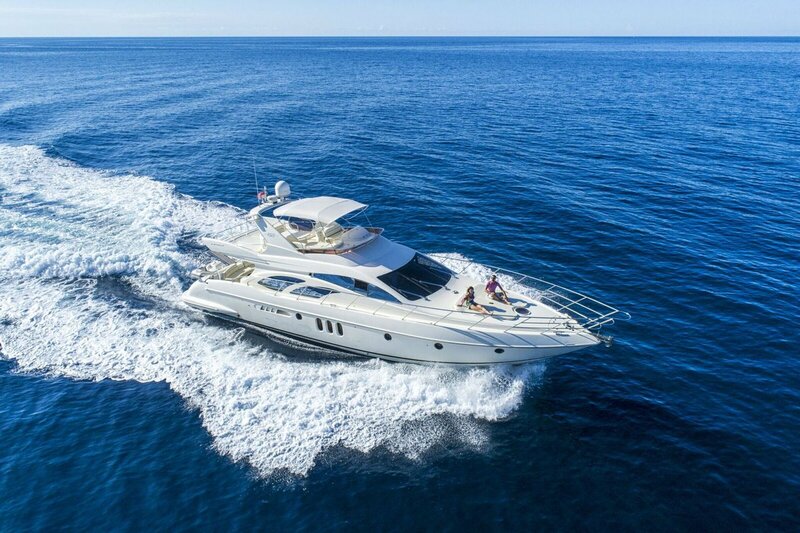 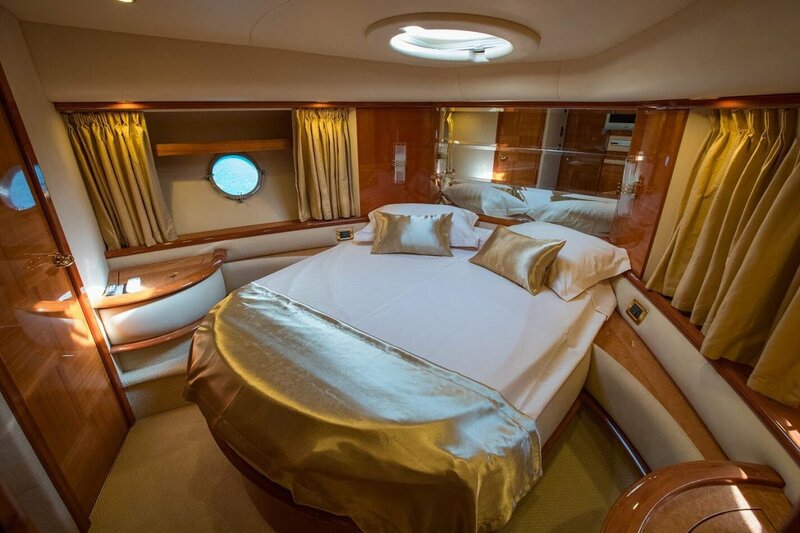 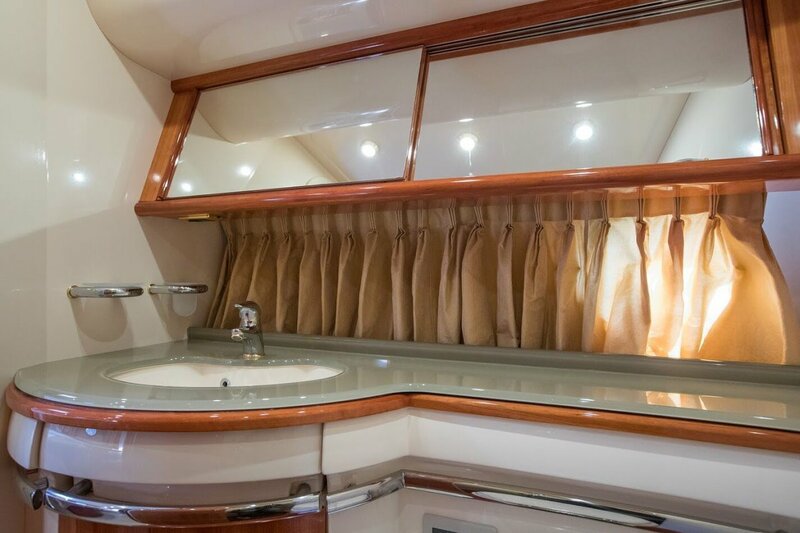 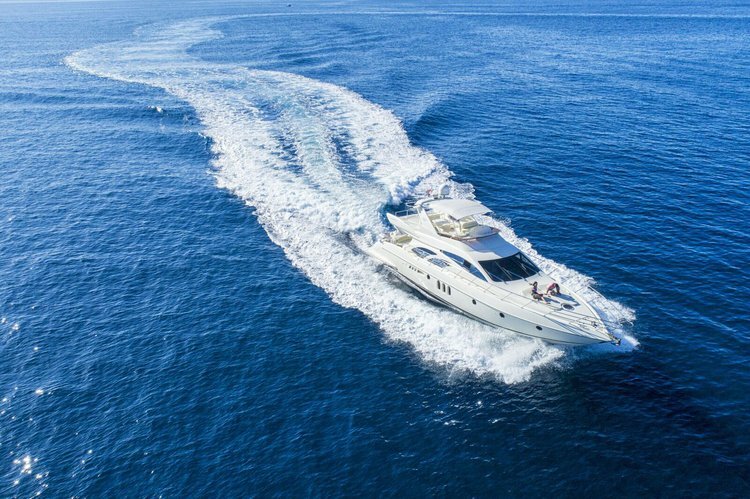 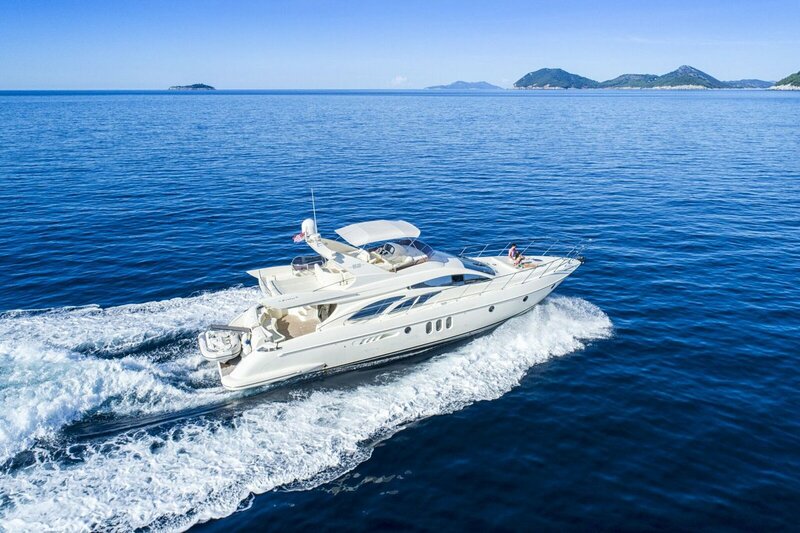 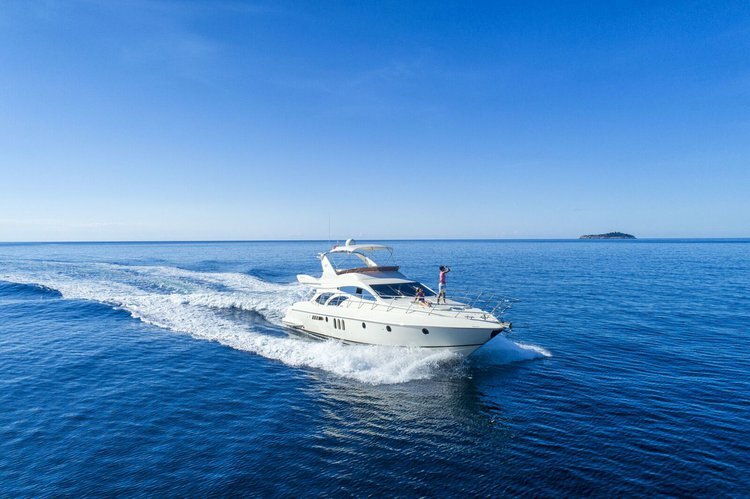 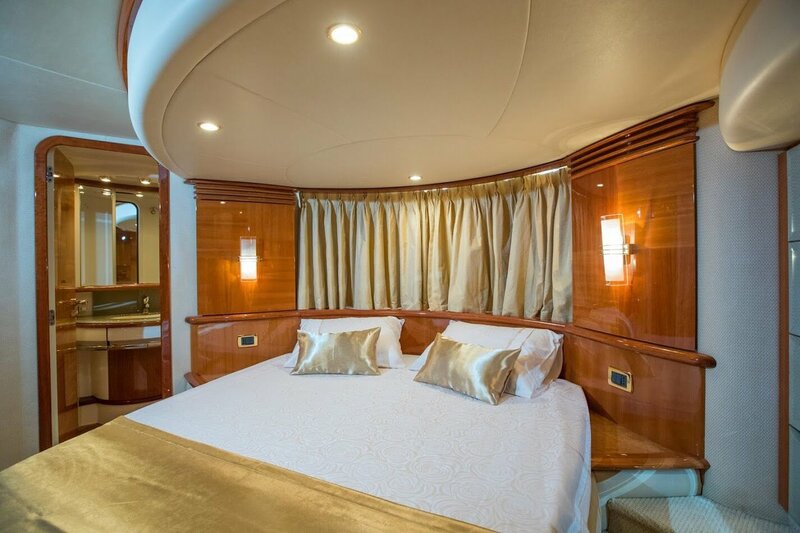 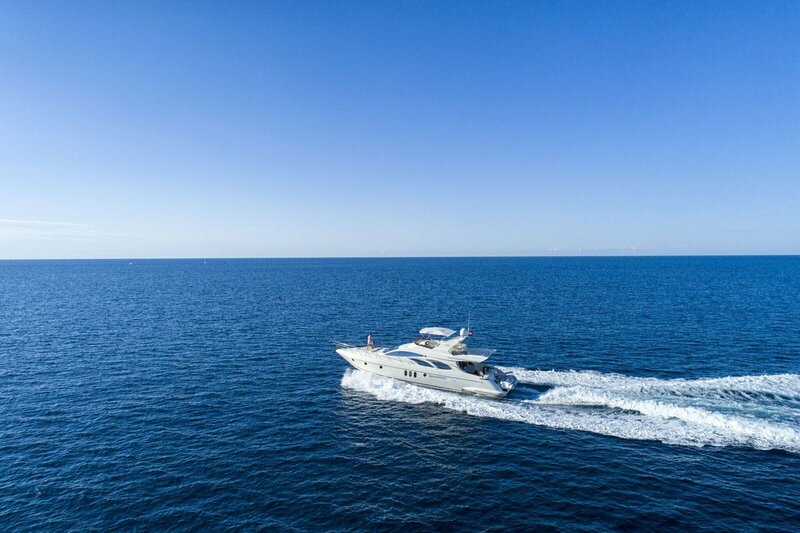 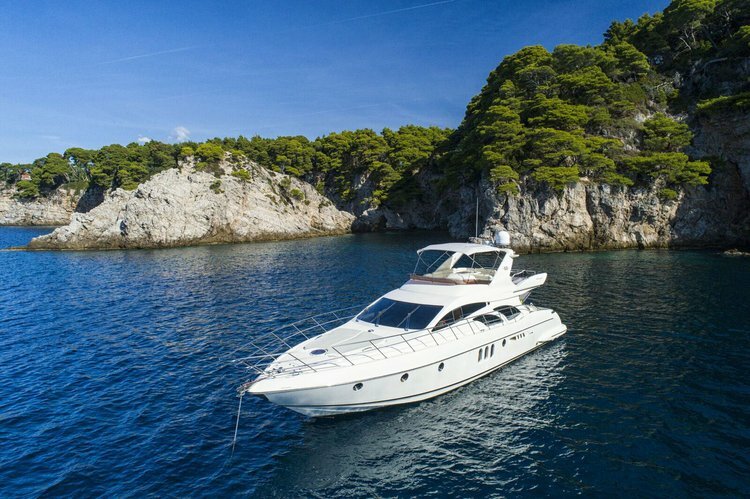 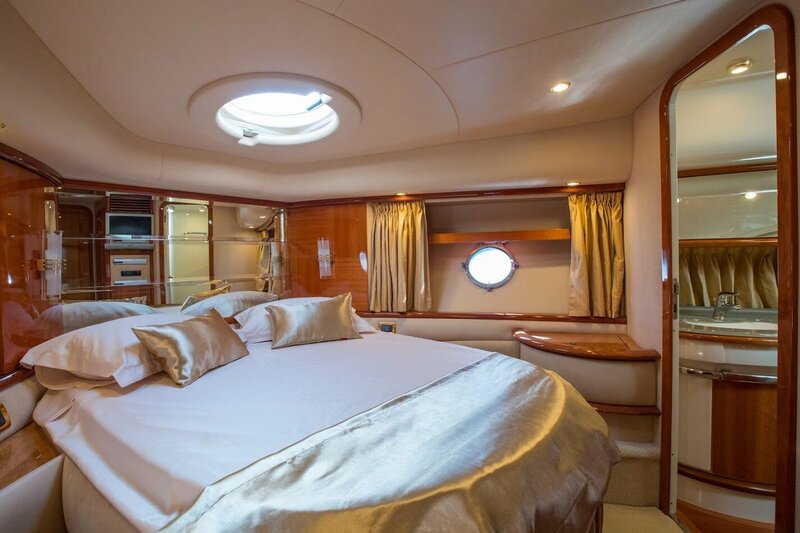 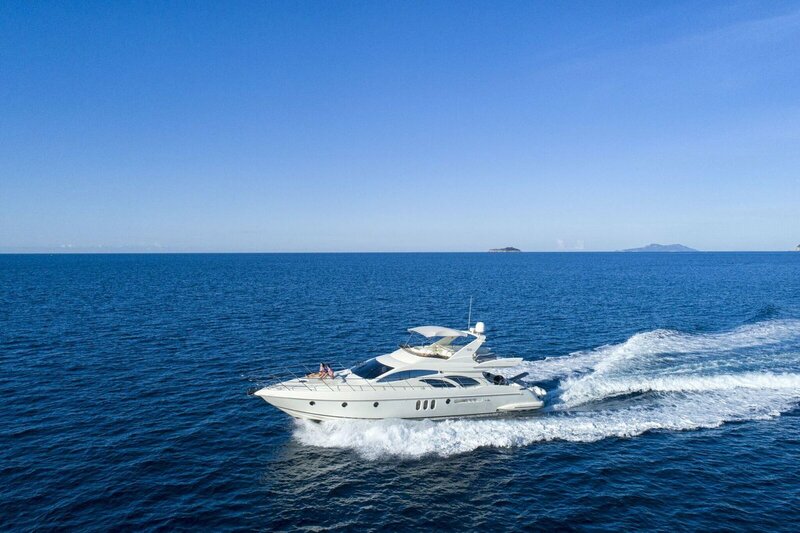 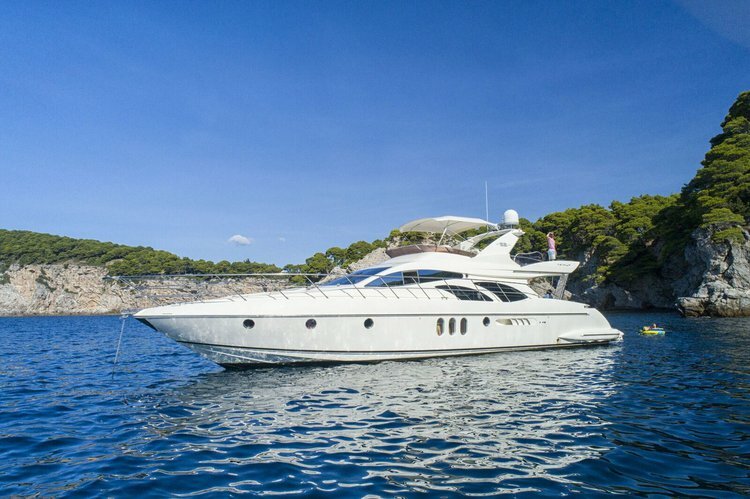 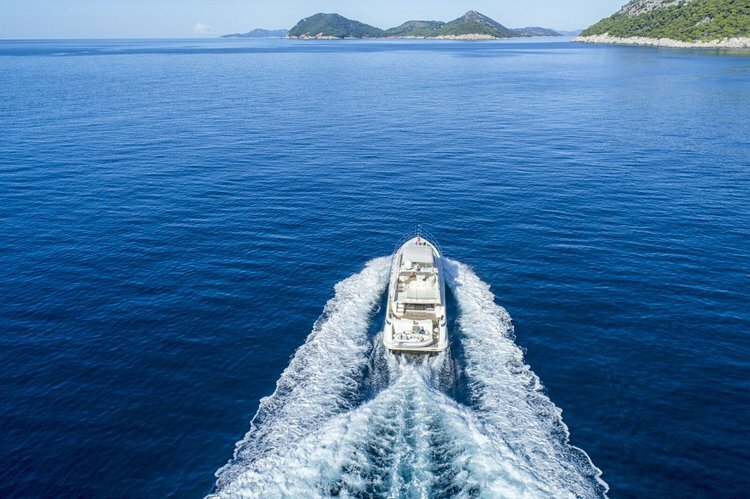 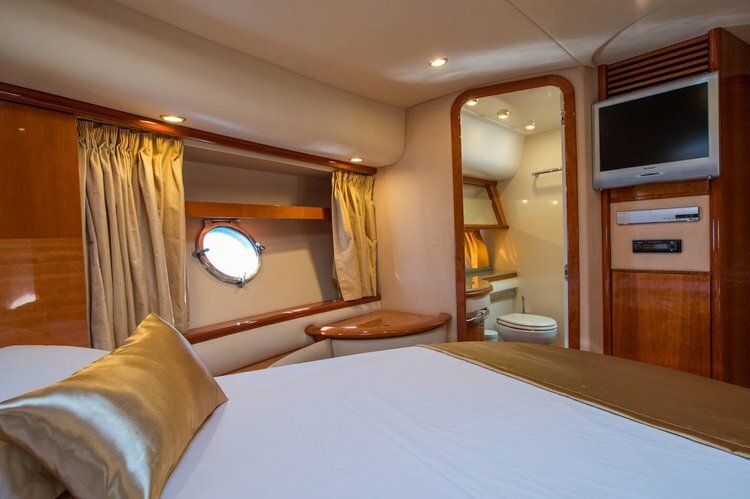 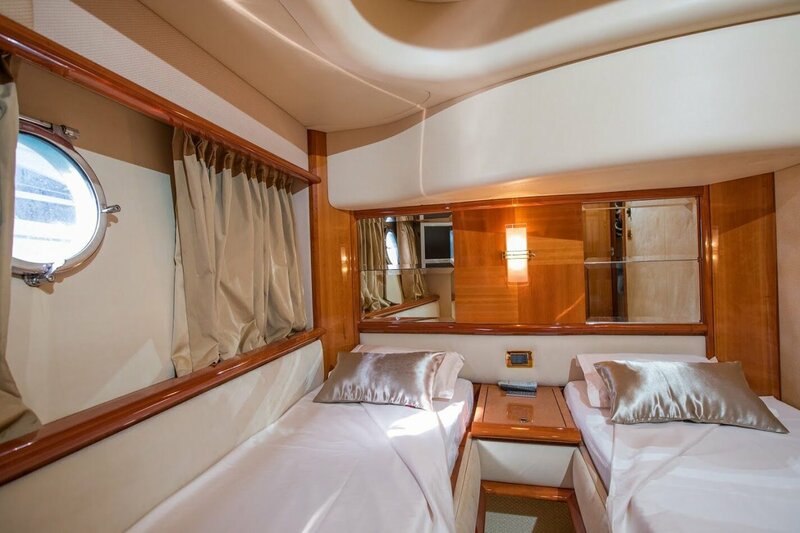 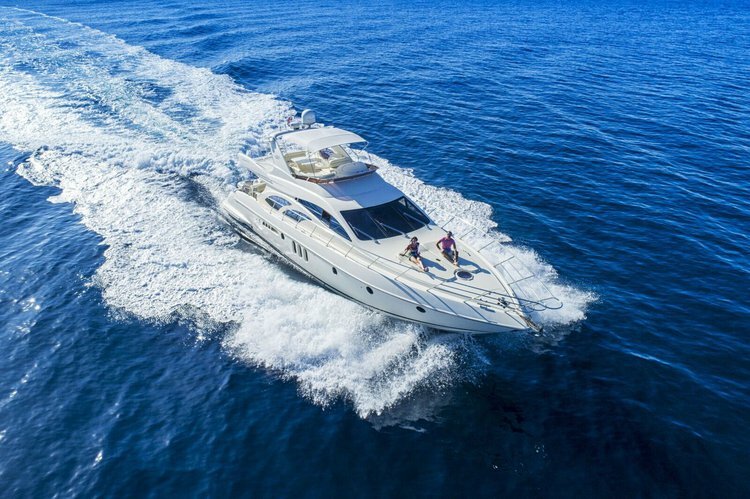 Motor Yacht Azimut 62 holds three spacious cabins; one master stateroom, VIP stateroom, and starboard guest stateroom, with two double beds and one twin bed, with each having its own bathroom. 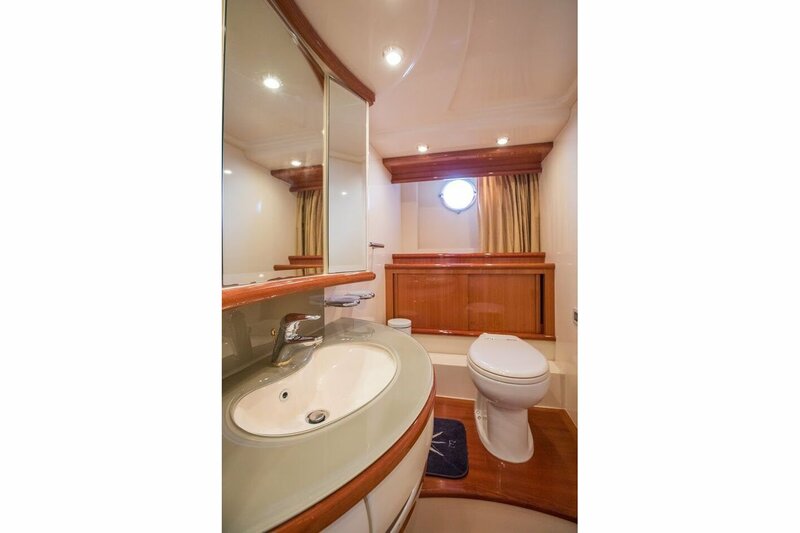 It holds big modernly designed lounge area, where you can relax while cruising the sea. 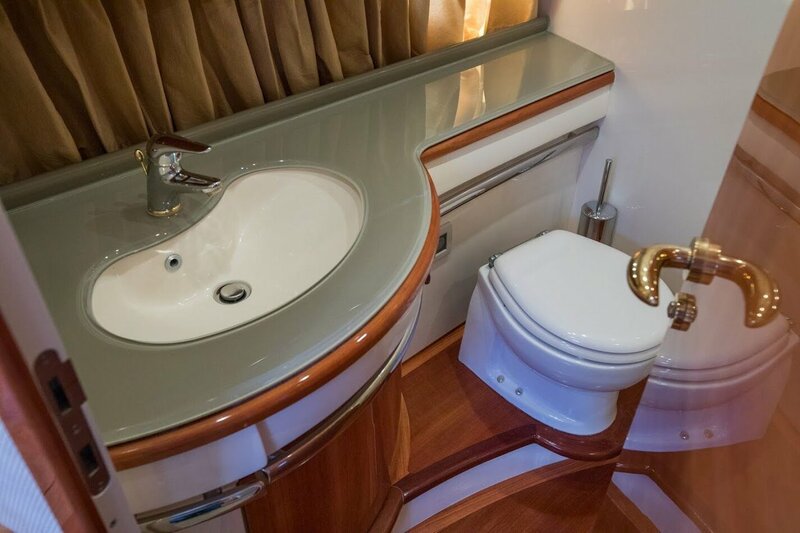 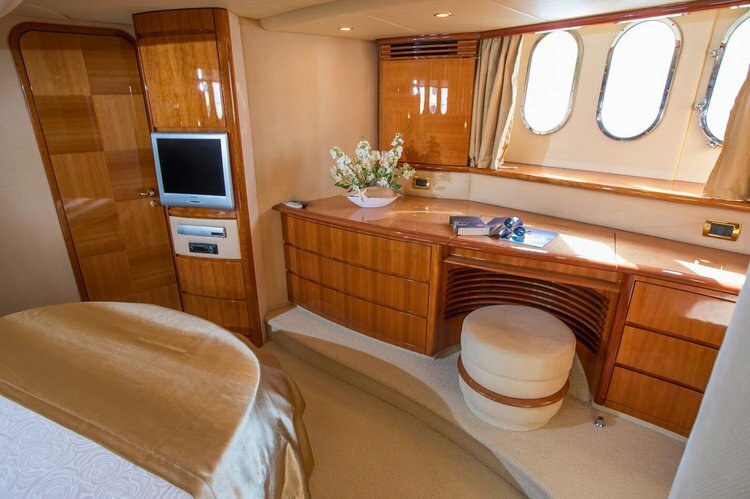 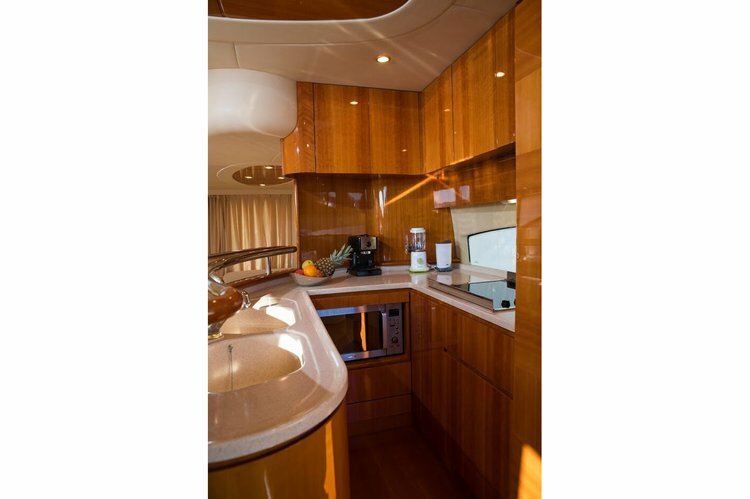 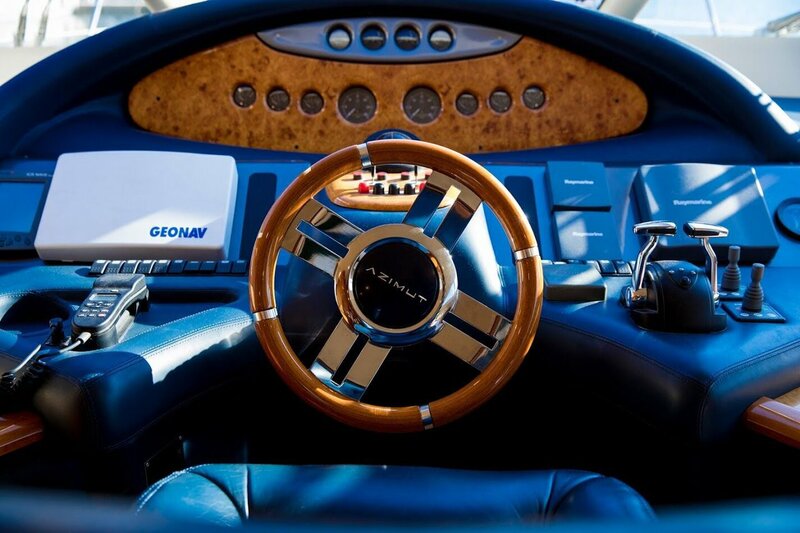 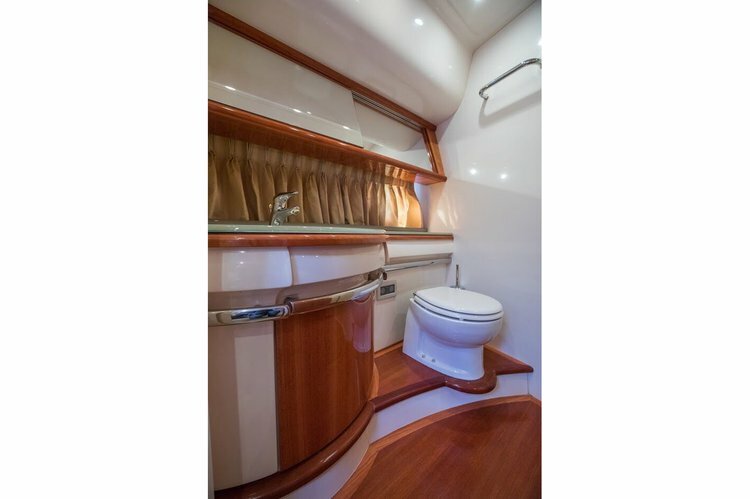 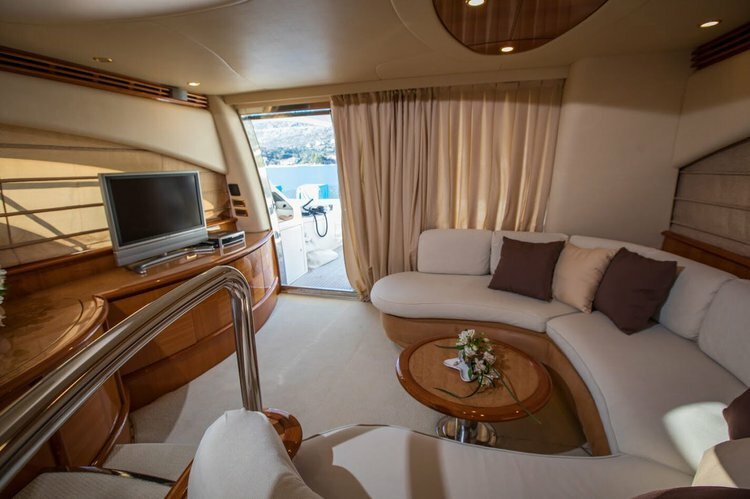 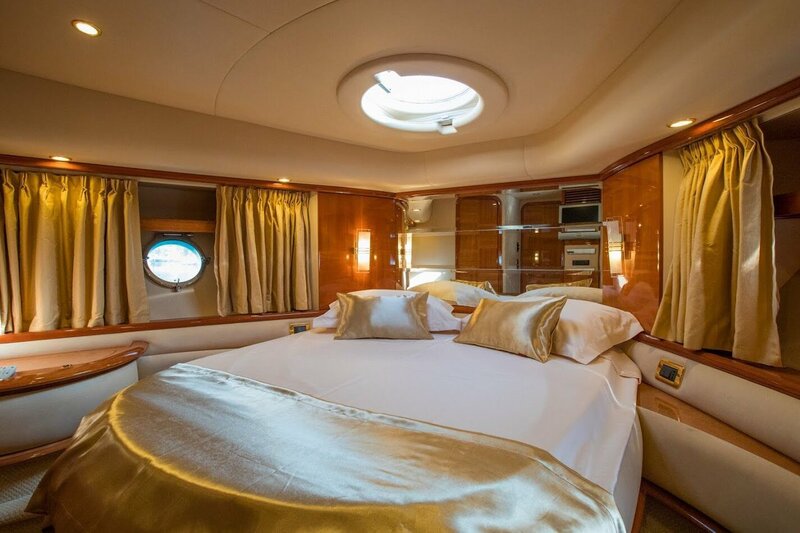 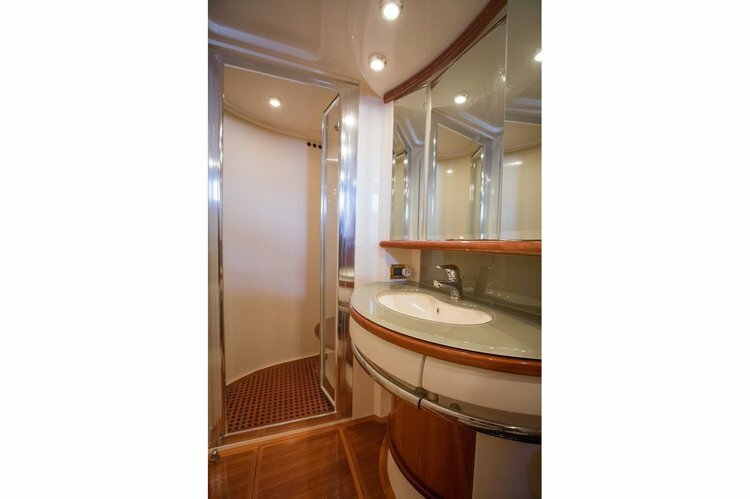 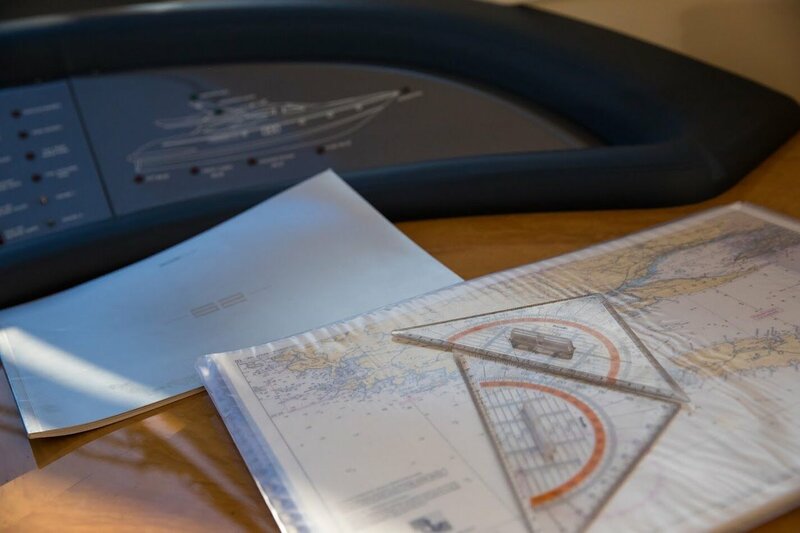 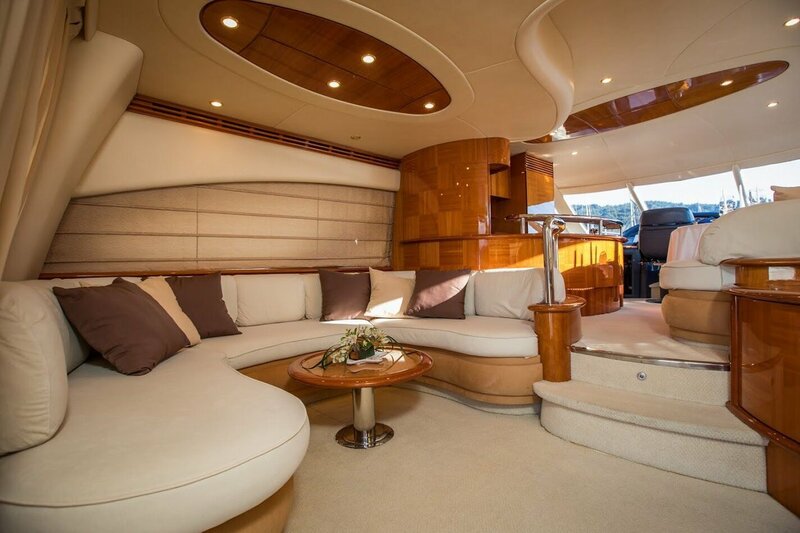 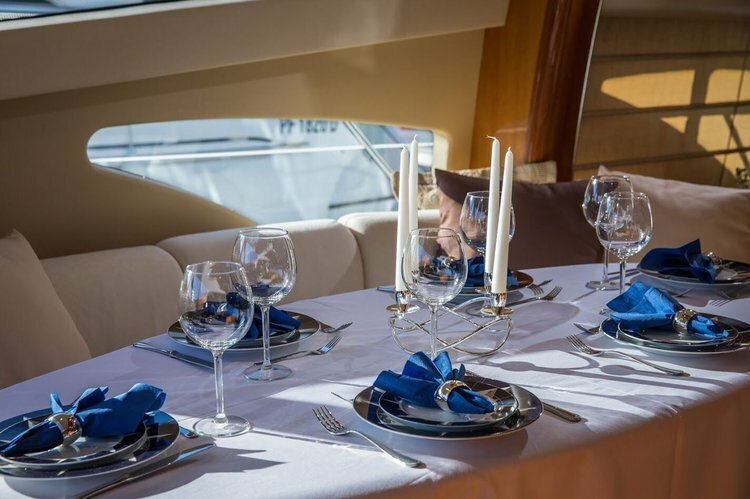 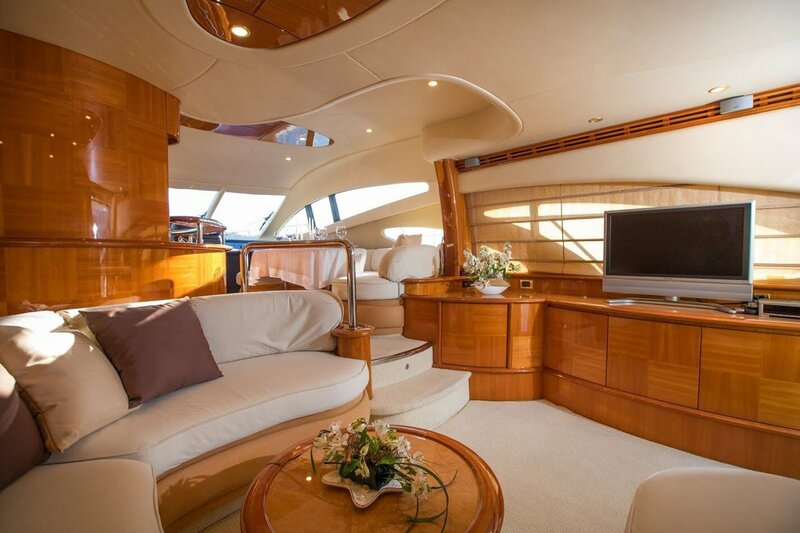 The interior of the yacht is luxurious since they took care of every detail when the yacht was designed. 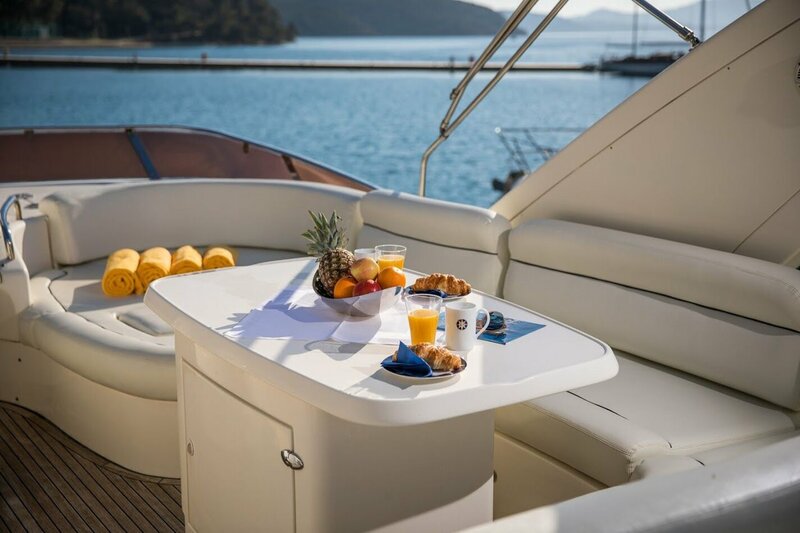 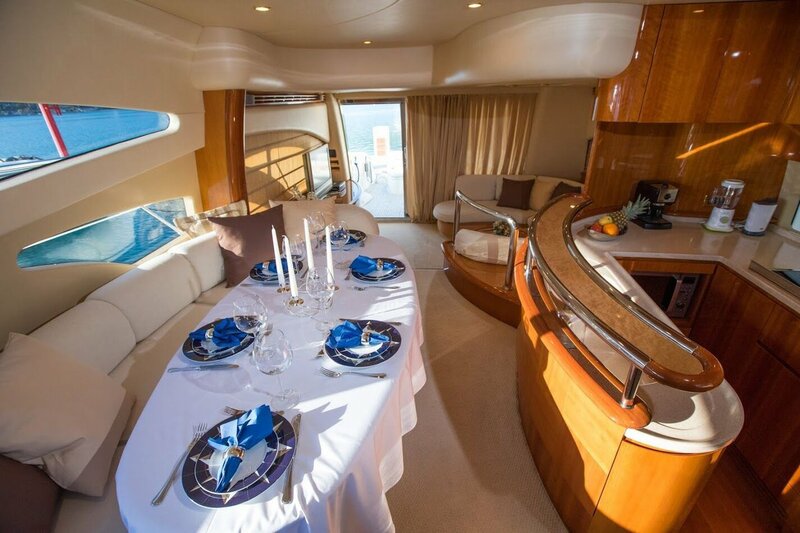 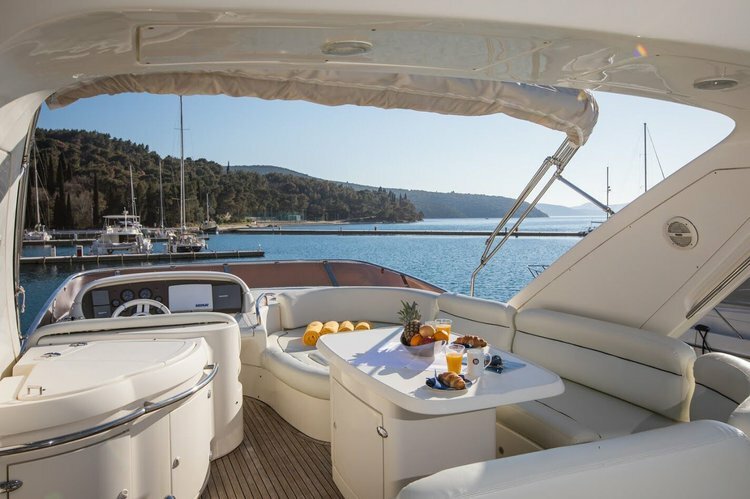 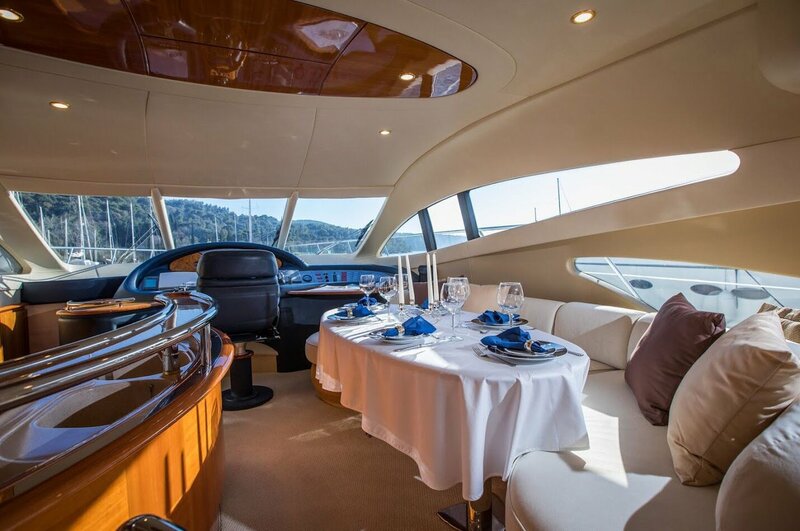 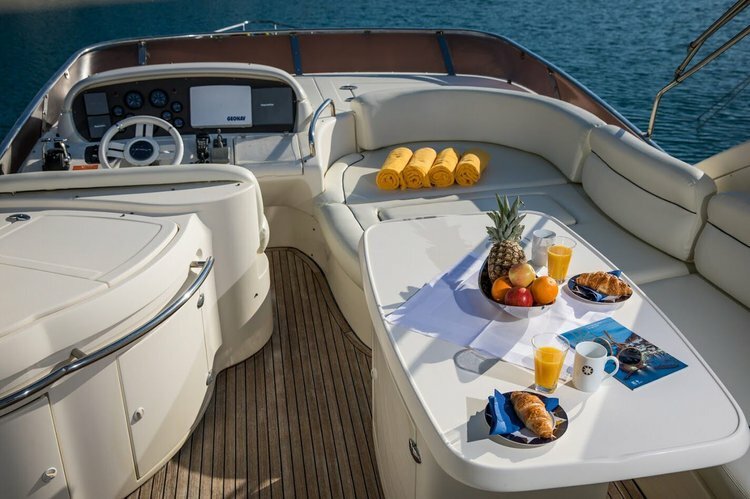 It provides a comfortable dining area and the open flybridge, for having your meal in a more pleasant way, outside with the view. 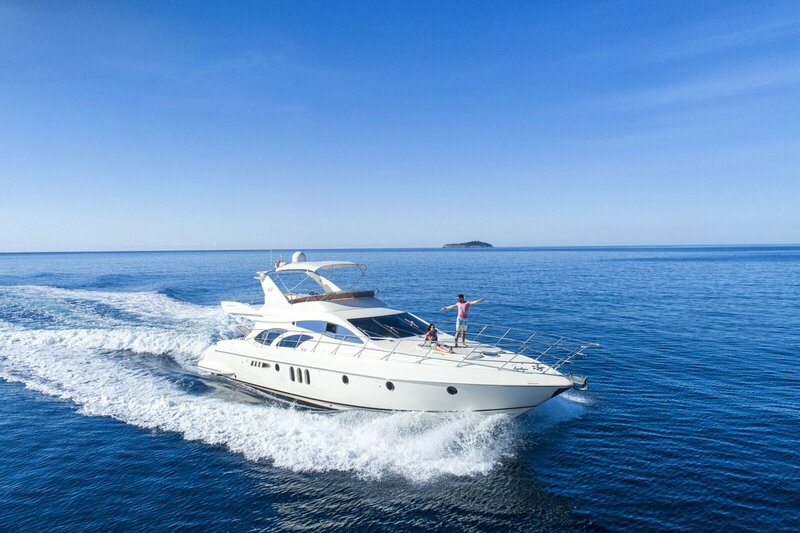 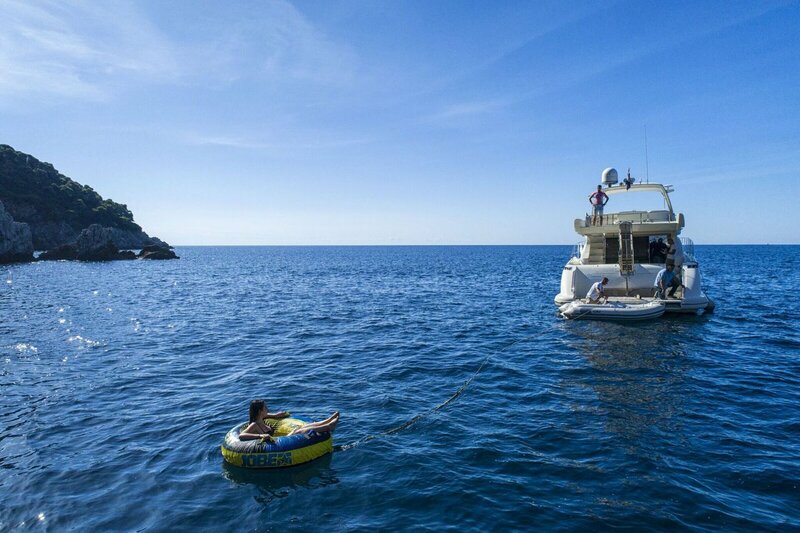 The yacht possesses paddle boars, tender, water skies and water tube for your greater enjoyment and entertainment while cruising the sea. 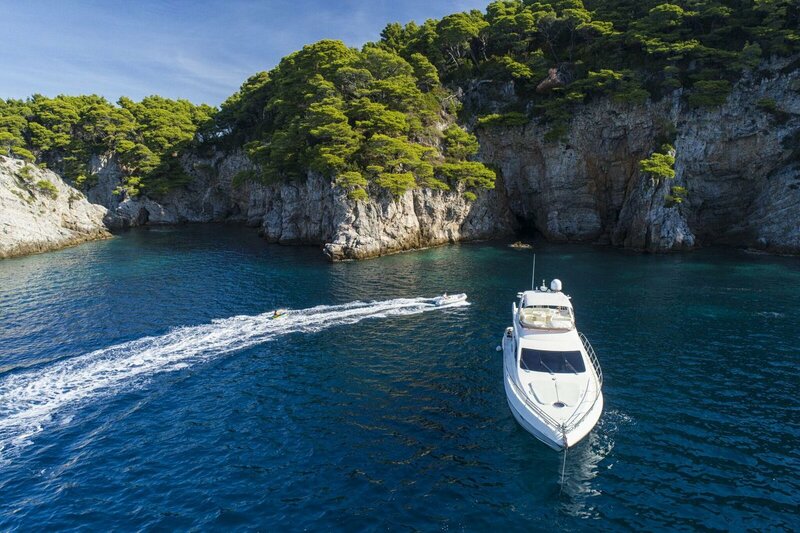 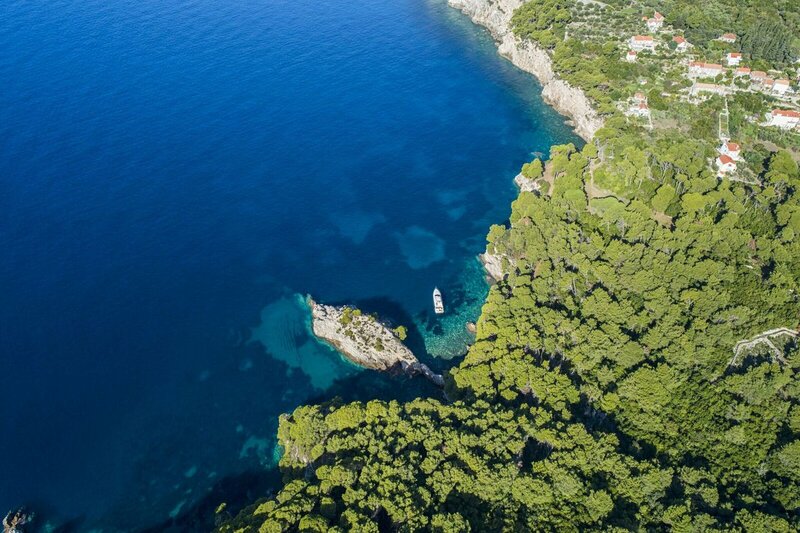 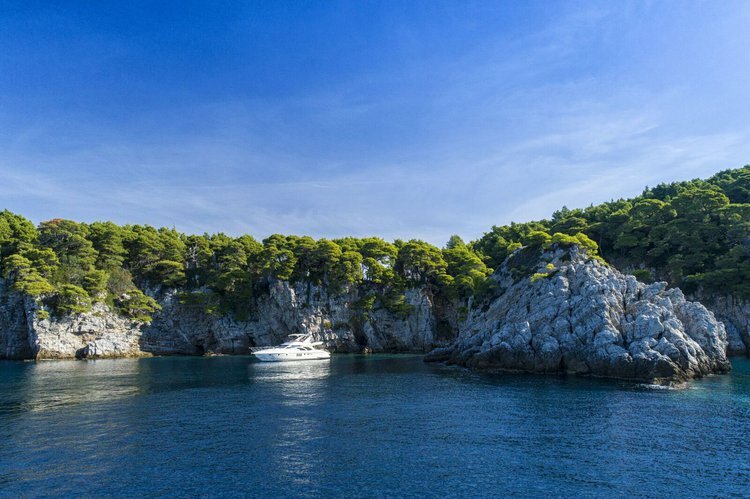 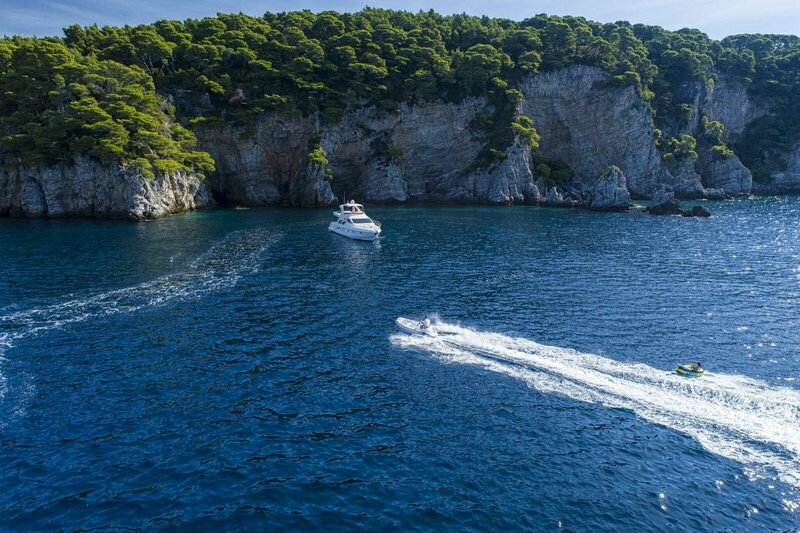 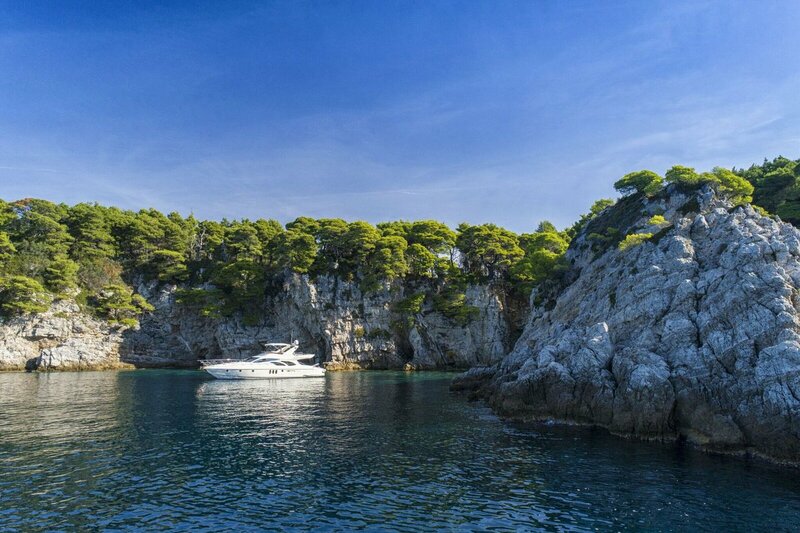 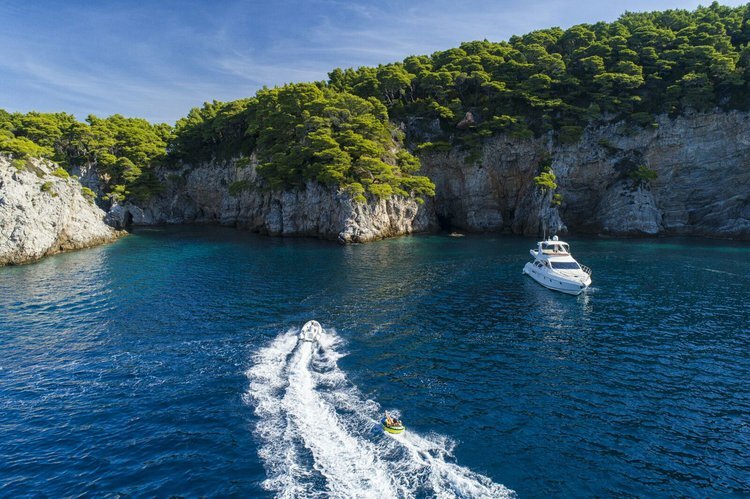 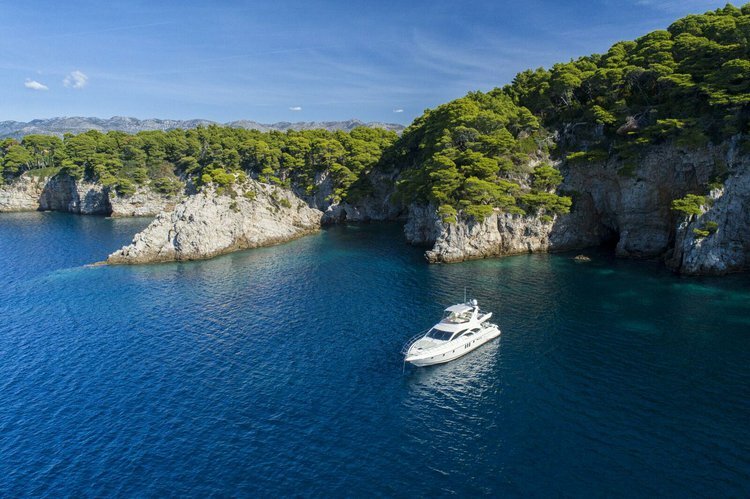 Usually this boat operates around Orašac, HR.